Delicate Long Lapis Lazuli chain with Crystal Studded Pendant. 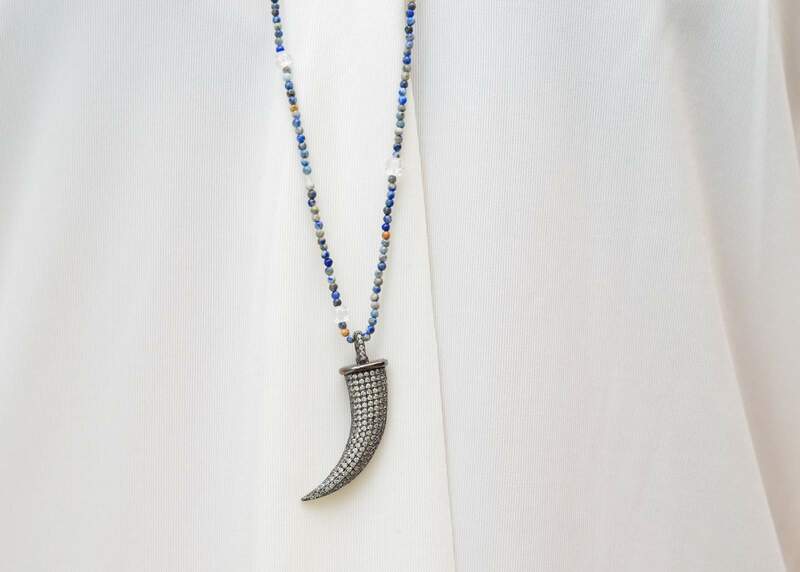 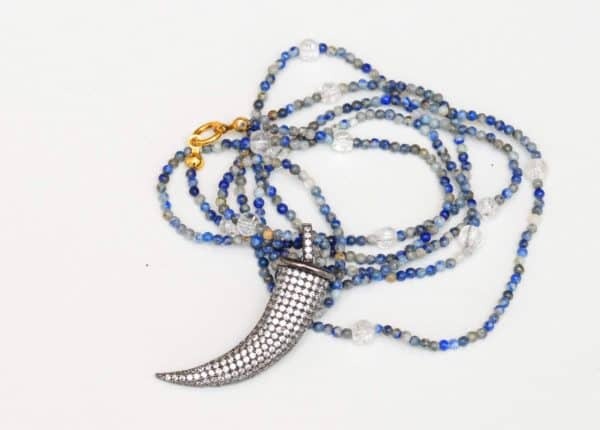 Tiny lapis lazuli bead chain accented with clear quartz’ and crystal studded horn pendant. 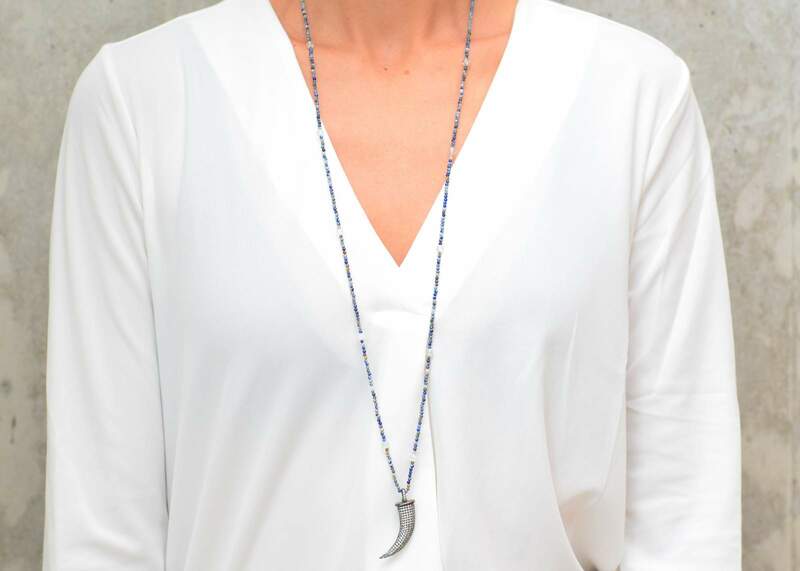 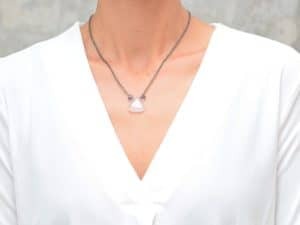 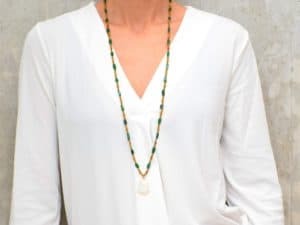 This necklace is sure to be your new favorite piece!